Tent, caravan, camper van or mobile home? No matter what type of accommodation you choose, you can park and forget your car during your holidays. A short walk from the sea and the beach center, the Albizia awaits you in a friendly atmosphere. 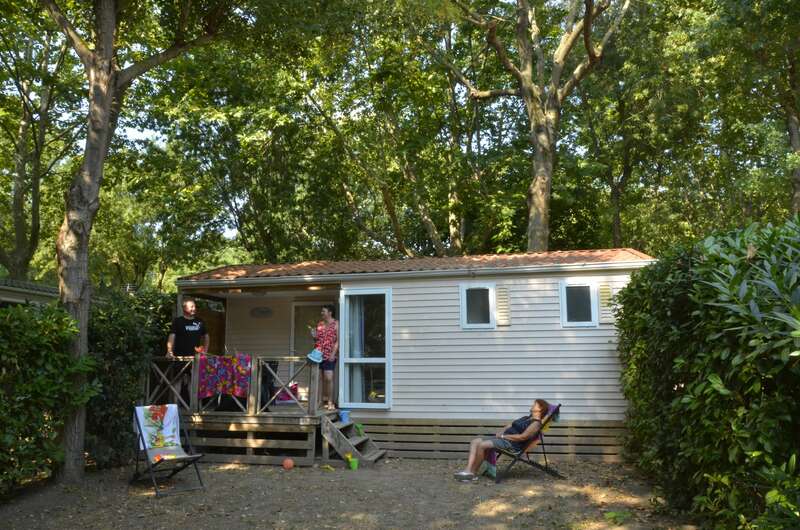 This is a small traditional 3-star campsite, near the sea and Argelès Plage. You will enjoy a family and friendly stay near the beach. 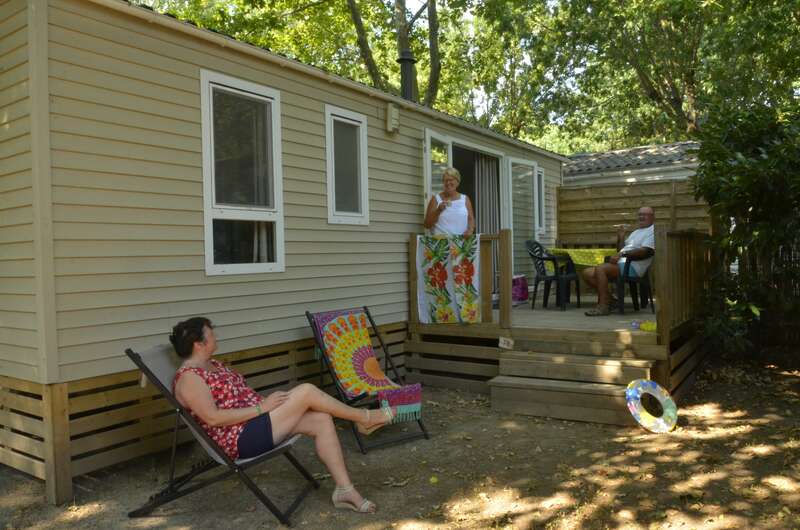 The place recently changed owners and the buyers showed a great integrity in their vision of the campsite: the values they ​​convey are simplicity and authenticity. We can guarantee you a quiet trip thanks to the absence of animations on the site. 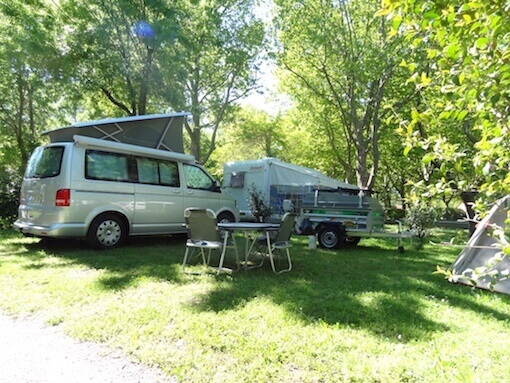 Whether you are a mother looking for an accommodation at a reasonable price for your next family trip or a retired person looking for a well-located campsite that has all the facilities you’ll need according to your type of accommodation and where you can discover the region, you will love the Albizia. Settle on our 80m² pitches, in the shades or in the sun. There is room for your accommodation (camper vans, tent…) and your car. There are 2 bedrooms and it can house up to 4 people. It was built in 2008 and it was the first to have a covered patio! You will enjoy its 23m², its indoor and outdoor living rooms, bathroom, separate toilets, covered patio and two bedrooms. You will have a quiet holiday in this charming bungalow. It is newer (2011) and bigger (25 m²). It can house up to 4 people. There are 2 bedrooms, a living room, a kitchen, a bathroom, separate toilets, garden furniture, and a patio. You’ll have a lot of room to relax after spending the day at the beach. Baby pack, (high chair and bed) : 15€/week. Token for washing machine, and detergent : 5€. 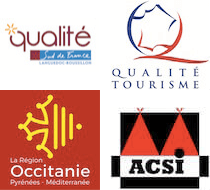 Gas barbecue : 5€/day ou 30€/week. Renting sheets, a set of bed linen for your whole stay : 10€/bed. Open from 8am to 12am and 2pm to 7pm.